Georges St-Pierre recently announced his intention to return to mixed martial arts (MMA) in an attempt to get a middleweight title fight against current division champion, Michael Bisping. During his interview (see it), the former welterweight champion revealed that not only is he capable of fighting at 185 pounds, but he can also make the cut down to lightweight, as well. When broached about a potential lightweight title fight against “GSP,” current division ruler Rafael dos Anjos declared during the UFC Fight Night 90 media conference call that he’d be more than happy to jump at the chance to face his idol. Dos Anjos isn’t the only man with his eyes on a big-money bout against St-Pierre, as B.J. Penn recently expressed his desire for a trilogy bout against “Rush” at 155 pounds for UFC 205 in New York. While both fights sound appealing, for now, Georges only has eyes for “The Count,” and vice versa. As for Rafael, he has more pressing matters at the moment, as he is set to defend his 155-pound strap for the second time when he faces Eddie Alvarez in the main event of UFC Fight Night 90 on Thursday July 7, 2016 exclusively on UFC Fight Pass. 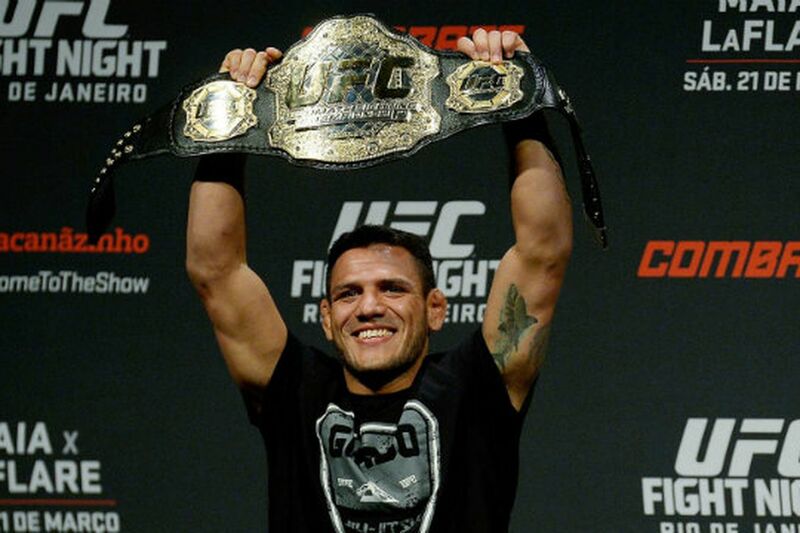 If all goes well for “RDA,” he would be more than happy to welcome “Rush” to the lightweight division.